Our clients come from diverse backgrounds and abilities ranging in age from 3 through adult. Hunkapi Programs, Inc. offers mindfulness based programs. The full range of services offered includes: Therapeutic Riding, Equine Assisted Psychotherapy and Counseling and Life-Skills Programs as well as Garden Therapy. Please contact us at love@hunkapi.org to learn more about our programs. Our four-legged healers and Professional Association of Therapeutic Horsemanship (PATH)-certified instructors are committed to teaching the art of horseback riding to individuals with emotional, behavioral, developmental and physical challenges. If your goal is to improve balance, flexibility, muscle control, independence, and/or attention, we and our herd are here to help. 30-minute private and semi-private and 60-minute group sessions available. Call our office and speak with one of our intake specialists to determine what class is best for you. Ask about our Equine Special Olympics Team and how you can join! Does your life make you feel like your boots are stuck in the muck? Move into the arena with the Hunkapi herd. Sometimes the easiest solutions to any life challenges aren’t found through words. Our therapeutic philosophy is to help you move forward by interacting with our “herd,” which consists of three simple elements: a horse, a licensed therapist, and you. 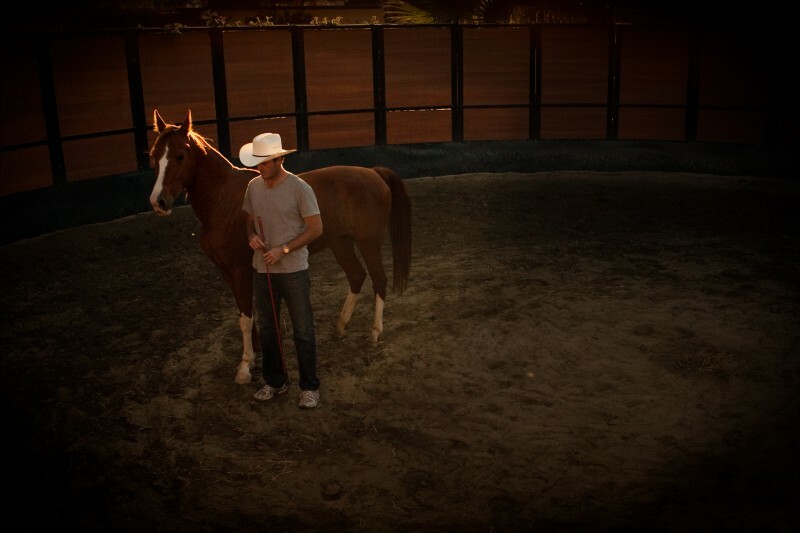 Our horses use their primal instincts to give you profound feedback on your thoughts, feelings and behaviors. Meanwhile, our therapists are by your side to help you interpret and strategize, allowing you to mindfully move towards the life you want. All you have to do is show up, boots on, willing to play in the muck for awhile and ready for greener pastures. By changing your actions in the arena today, you can improve your reactions, relationships, and life tomorrow. Family, group and individual sessions available. Jump out of your head and into your heart with the support of the Hunkapi herd today. Is your child acting angry? Sad? Hurt? Depressed? Are they having anger outbursts or experiencing overwhelming anxiety? Are they challenged in developing healthy relationships with peers? Do you feel fearful, overwhelmed, or at a loss for how to have a healthy and loving relationship with your child? In just three purposeful hours, our facilitators and four-legged business coaches can create ah-ha moments, shift dynamics, and create new behaviors and concrete change in the workplace. A fresh leap on team-building that will challenge your herd to move mindfully towards greater productivity, communication and rapport building. We’ve all done them—the ziplines, the climbing walls, the orienteering challenges. These team-building exercises can certainly be helpful, but sometimes you need something truly original to drive your employees to come together as a herd. Does your team feel: Unproductive? Disconnected? Unmotivated? Disgruntled? Our world-class facilitators will professionally integrate your pre-determined goals into each activity in the arena, highlighting the strengths of each team member while challenging barriers to performance. Why choose Horse Play over a similar team-building program elsewhere? Our four-legged business coaches bring challenges to light in an indisputable fashion, while our facilitator creates an environment of openness, learning, and change. 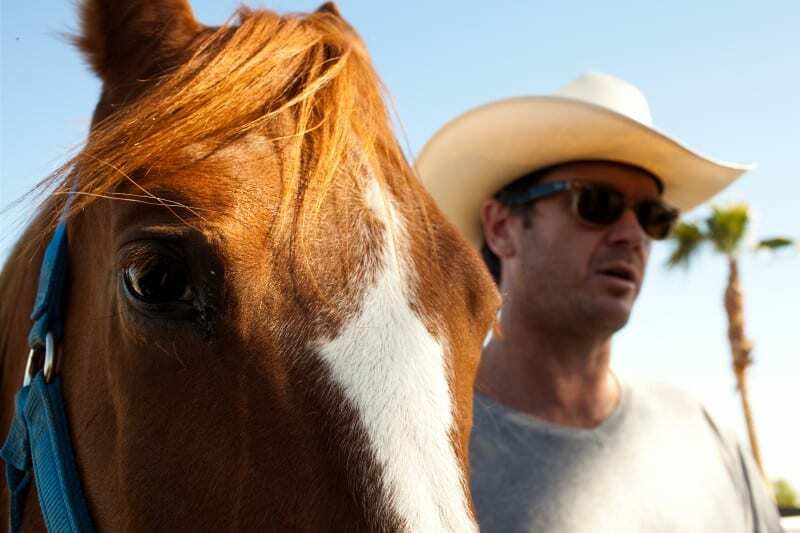 Horses provide immediate feedback about your group dynamics. Only when your team works together in a positive way can the collective goal be accomplished. Horses require that we be our authentic selves. An afternoon in the arena with them heightens openness, awareness, and opportunity to see leadership potential. Do you feel alone? Are you feeling angry, sad, anxious, or overwhelmed? Are you having outbursts of emotion? Are you having trouble forming healthy relationships and creating new, healthy habits? I cannot show enough appreciation for the therapists and horses at Hunkapi. The simple, yet profound techniques created self-realizations that were monumental in my recovery. Now I have them for life. Thank you! 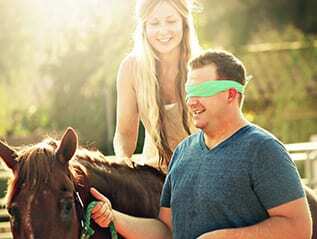 Equine therapy has been one of the most influential and introspective forms of treatment I have ever received. Thank you Hunkapi!